Armchair Book Expo Headquarters: We Want YOU to Volunteer! Do you love to get to know new people and share cheer? Do you like to encourage others? Do you like to have fun? Have you been wishing you could be an important part of Armchair BEA? Here is your opportunity! We are in need of Cheerleaders. Everyone needs a little encouragement along the way and this group gets to do just that. It doesn’t matter if you have done this in the past or you would like to give something new a try, we would love to have you join us. 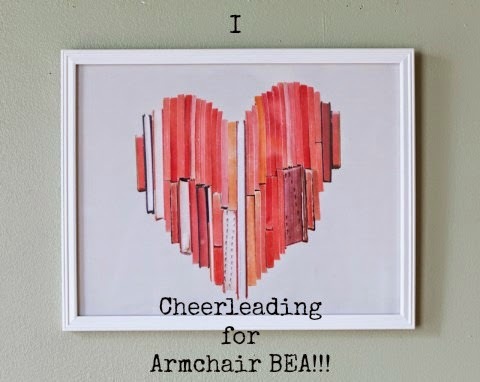 As a cheerleader, volunteers are given a certain number of blogs a day during Armchair BEA to comment on to spread encouragement and a sense of community. Commenting is a very important job as it helps every participant feel included in Armchair BEA! To help ensure that you feel prepared to fulfill your role during this week, we are happy to announce that each cheerleader will receive a Cheerleading Survival Packet with tips, suggestions and a selection of fun buttons created just for you (like the one featured here)! We want you to have fun while you are helping us ensure that everyone is included! The more volunteers we have the easier it will be for everyone, so grab your friends and sign up together! This year we are also looking for Team Captains, so if you are interested in a small leadership role, please indicate that on the form below. The number of captains will depend upon the number of cheerleaders participating. In addition to the team captains, we have also heard your feedback from last year and have revamped other logistical issues to improve the cheerleading team all around this year! Volunteers need to be available during the week of the event, Monday, May 26 - Saturday, May 31, 2014, to comment on their assigned blogs. Deadline for signing up to be a commenting volunteer is Friday, May 16. Please fill out the following form. If you have any questions, please email one of the commenting committee members: Becca (becca7931@yahoo.com), Chrissy (punkfarie@gmail.com), or Tanya M. (momssmallvictories@gmail.com). I can't remember if I filled this out already....can you check for me? Holly, blog name: Words Fueled by Love. Holly Harris ... Thanks for checking! I just looked and you are NOT currently on our list! This is a great idea. I've never done Armchair BEA before (it used to coincide with the last week of school), but I'm really looking forward to it. Although, the very idea of "cheerleaders" brings up some negatives in my world! How about CheerREADERS? Ms. Yingling ... LOVE this idea of a CheerREADERS!!!!! OMG--I think we need to do CheerREADERS for Readathon. Off to gab with the gals. LOL! I signed up. Looking forward to it. Announcing the 2014 Armchair BEA Agenda!! Join the Armchair BEA Interactive Community! 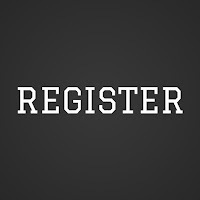 Armchair BEA 2014 Registration is Open!